What a lovely fabric. To me it says a separate, and I can see it as a blouse but think it would make a great Miette. Tough decision! And funny that you say a seperate, I think I am veering more towards that direction too! 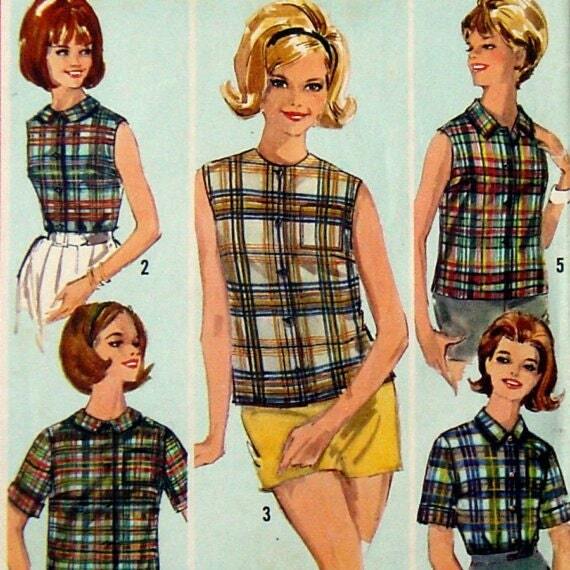 Ooh I love No.2 on your vintage pattern - can't wait to see what you make with it! Incidentally, I had LOTS of fun choosing all the stickers, packaging and business cards, although I spent a small fortune! Yes, No 2 is what I'm thinking! I love the fabric - congrats! All of your choices sound like good candidates - I can't wait to see what you make! Fab fabric, can't wait to see what you make with it! Lovely fabric, and I vote for the vintage pattern. That print would also look lovely in a Miette though. The polished button is great, I got some stuff from there a while back and was very impressed. It's a tough decision, I know! Pity I can't squeeze both out of it! And yes, The Polished Button is great!